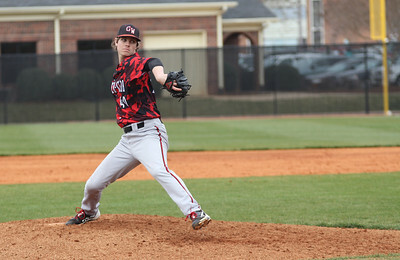 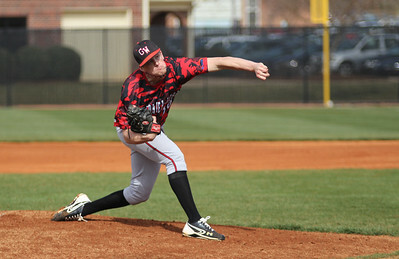 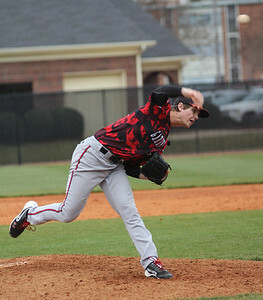 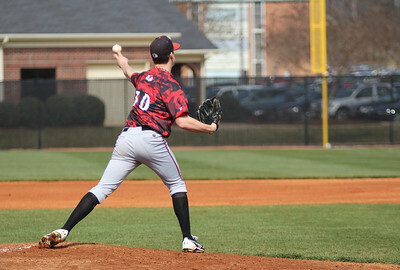 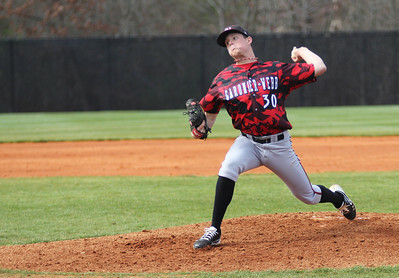 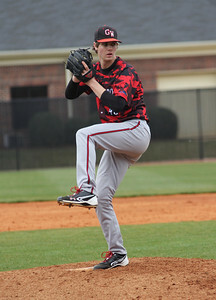 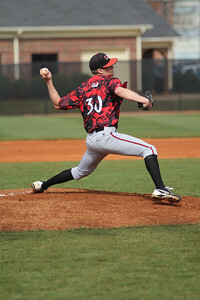 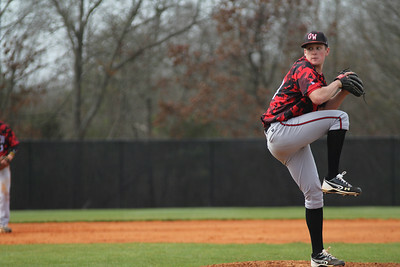 Number 30, Beau Hilton, pitching the ball. 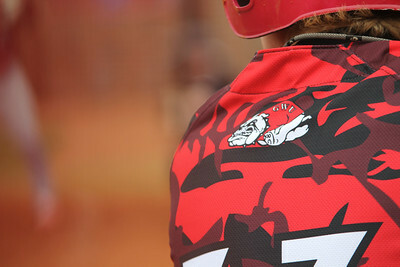 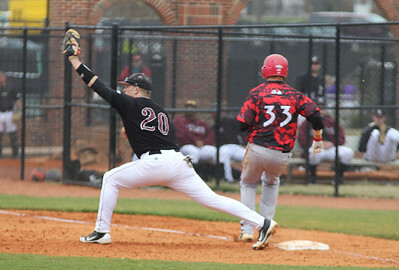 Number 30, Beau Hilton, checking the runner at first base. 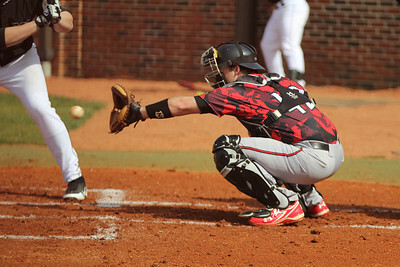 Number 42, John Harris, catching. 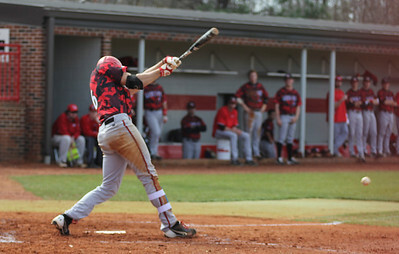 Number 16, Benji Jackson, with the hit. 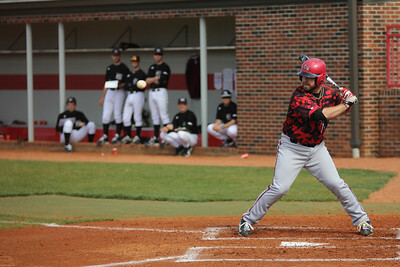 Number 15, Dusty Quattlebaum, up to bat. 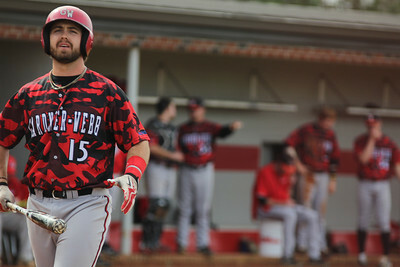 Number 18, Scott Coleman, watching a ball go by. 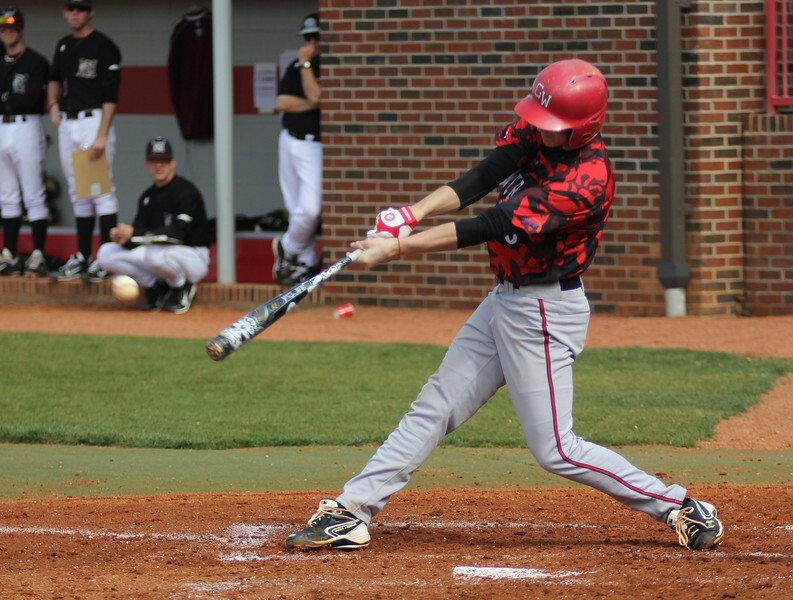 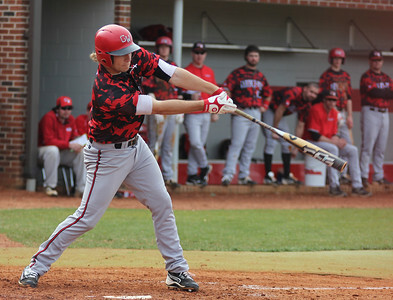 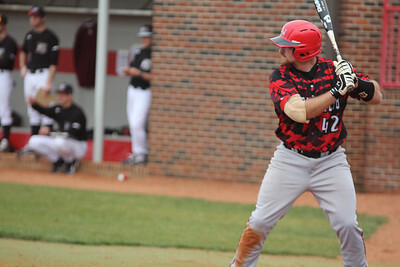 Number 6, Ryan Hodge, swinging the bat. 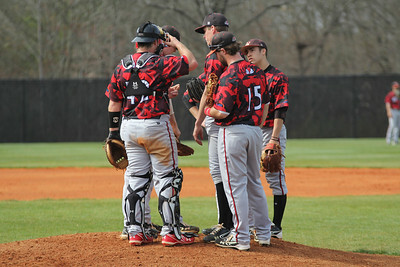 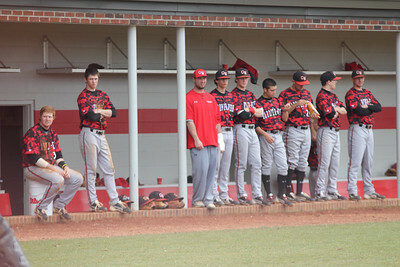 The team huddles at the pitcher's mound. 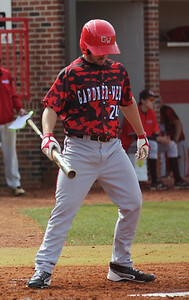 Number 24, Danny Yelverton, gets ready to bat. 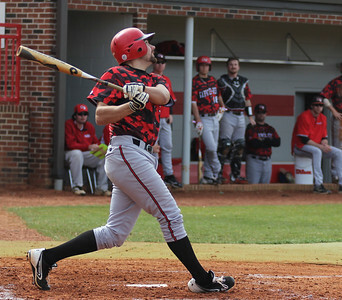 Number 21, Adam McFarland, hits the ball. 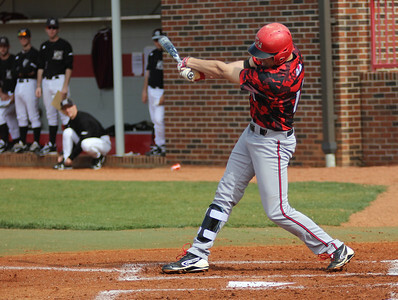 Number 15, Dusty Quattlebaum, letting out some frustration after a swing and miss. 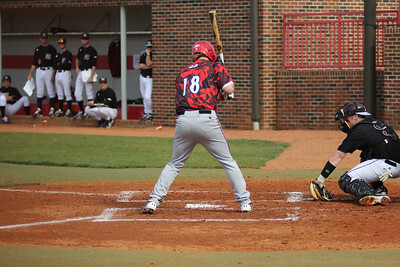 Number 18, Scott Coleman, swinging the bat. 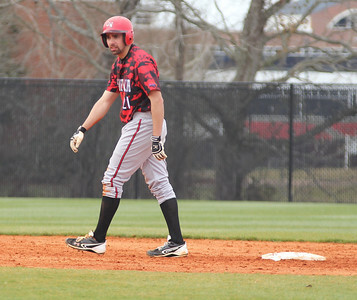 Number 18, Scott Coleman, hustling to get back to first base. 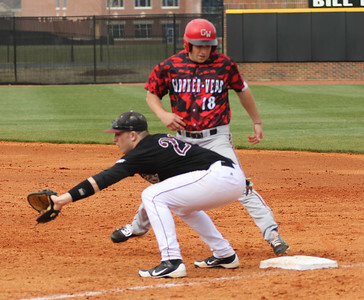 Number 21, Adam McFarland, getting a lead off of second base. 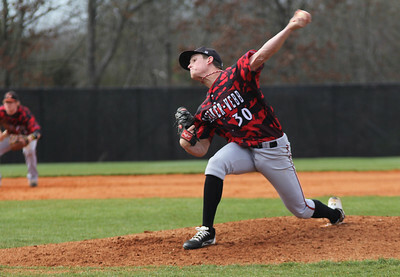 Number 40, Matt Fraudin, pitching the ball. 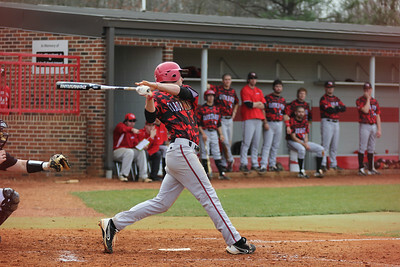 Number 42, John Harris, at bat. 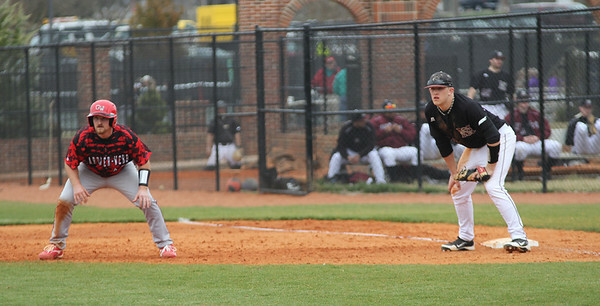 Number 42, John Harris, getting a lead off of first base. 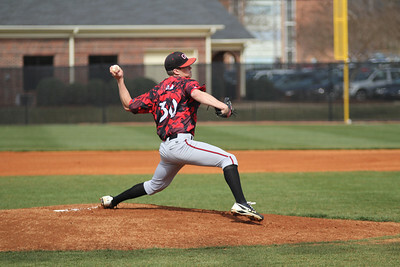 Number 33, Brad Collins, safe at first base. 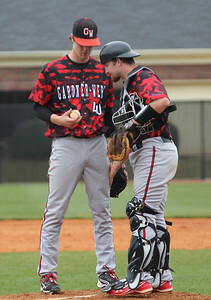 Pitcher and catcher having a word at the mound.